When I last wrote I was waiting for my new serger so I could get my fabric in the washer. 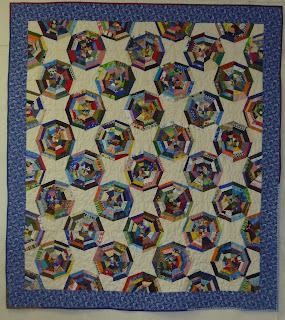 On Thursday I got a back ready for the Spider Web quilt and got it basted and first thing Friday I got it quilted and got the binding sewn on. 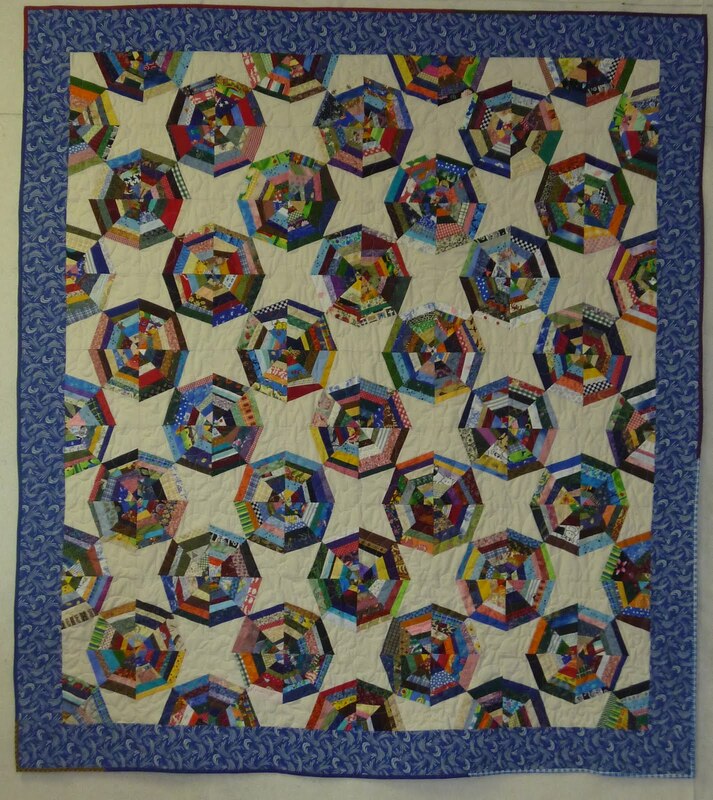 I finished the hand sewing over the weekend and it is ready to take to the guild meeting next Wednesday. The package arrived on Saturday morning and I went to work on getting it threaded and running. It is very easy to thread and works like a charm. 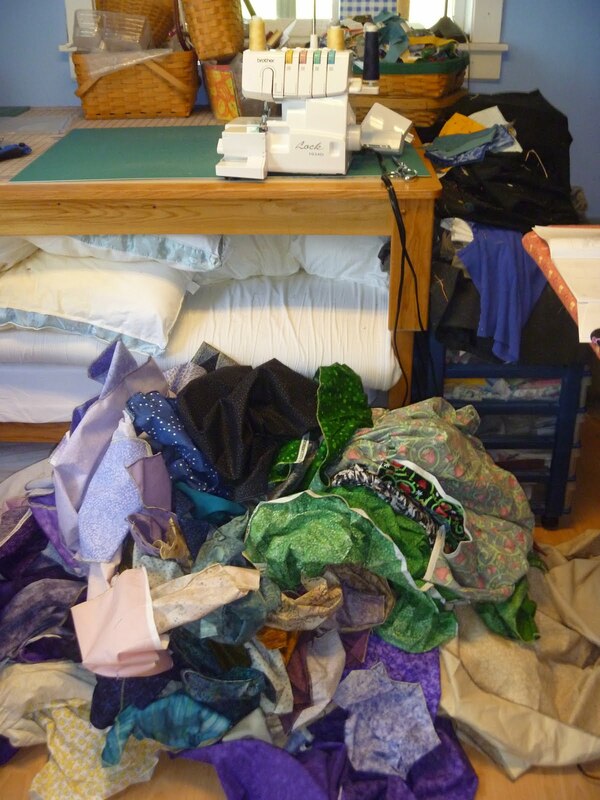 Here is the pile once I was done! And here is the fabric on Monday after it was all prewashed and pressed. 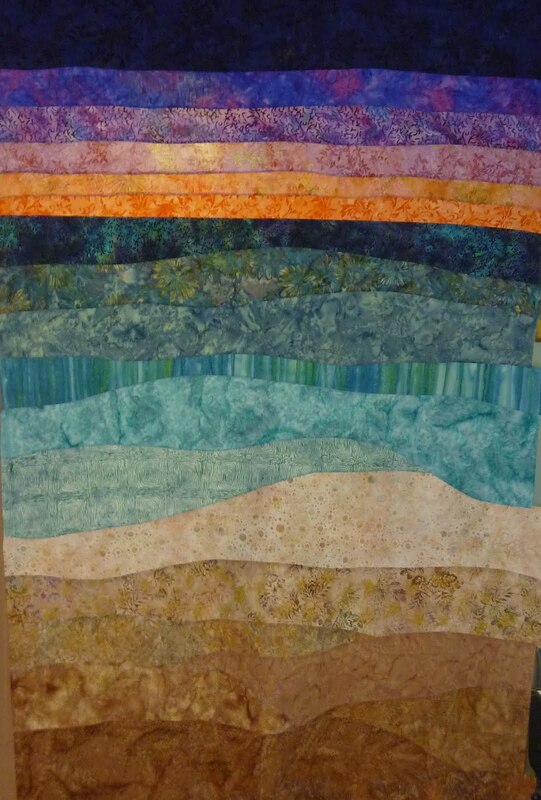 Yesterday I pulled out the batiks I bought for a quilt I have been commissioned to make. 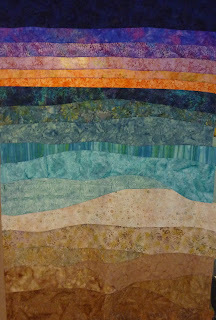 The customer wanted a beach and ocean quilt using strips. I talked her into using curved seams instead of straight and I got the beach and ocean parts done yesterday. Today I went shopping and bought some fabrics for the sky - a sunset. This is what I came up with. Tomorrow I hope to get it trimmed even and straight and maybe I will go and buy the border/frame and back fabric so this one can be finished soon!